The Epix HD channel will be found on FiOS 895 and the standard-def on 395. 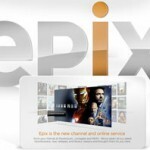 Epix will also offer its content on-demand through FiOS. The free preview will run from Oct. 30 through Nov. 1. After that, the channels along with internet access will cost $9.99 per month. Epix is a joint venture formed by Viacom Inc., its Paramount Pictures unit, Metro-Goldwyn-Mayer Studios Inc. (MGM) and Lionsgate. The premium TV and online channel will broadcast recent releases from Paramount, Paramount Vantage, MGM, United Artists and Lionsgate, as well as classic films. why is it only on FiOS? I can’t even get FiOS where I live.